Bills in the Maharashtra Assembly of Rs 800 crore for providing food at Anganwadis were pending, the opposition has alleged. Mumbai: Opposition Congress and NCP today staged a walk-out from the Maharashtra Assembly to protest 'delay' in sanctioning of funds for providing nutritious food to pregnant women and children at Anganwadis. Bills of Rs 800 crore for providing food at Anganwadis were pending, they alleged. 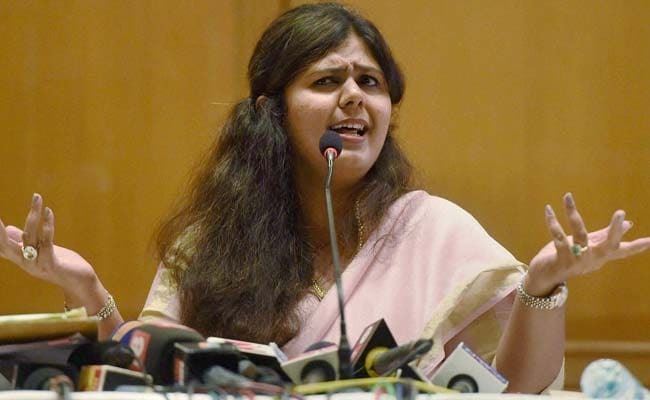 During a debate, Women and Child Welfare Minister Pankaja Munde said the Integrated Child Development Scheme (ICDS) (implemented through state-run 'Anganwadi' nurseries) is a centrally-sponsored scheme, where the Union government provides half the funds. She was replying to a calling attention notice by Aslam Sheikh and Leader of Opposition Radhakrishna Vikhe Patil (Congress) on the issue of malnutrition. In 2017-18, a proposal for Rs 1,236 crore was submitted to the Centre and additionally Rs 279 crore were sought for payment of bills of women self-help groups which provide nutritious food to Anganwadis, the minister said. The Centre sanctioned Rs 994 crore and the state government allocated Rs 594 crore, she said. Further, Rs 400 crore were made available through supplementary demands during the winter session last year, she said. The money has been received now and pending bills are being cleared from the Rs 400 crore obtained through supplementary demands, she said. Ms Munde also claimed that supply of food was never disrupted anywhere due to pending bills. "Over 50 lakh children in the age group of six months to six years, 47 lakh pregnant women and 53 lakh lactating mothers are being regularly provided nutritious food in Aganwadis," she said. Her department has sought Rs 522 crore next fiscal, Ms Munde said, assuring that she will pursue faster sanction of funds with finance minister Sudhir Mungantiwar. Opposition MLAs, however, alleged that bills of Rs 800 crore for provision of ration to 97,000 Anganwadis, which provide food to 73 lakh children and three lakh pregnant women, were pending. Despite sanction of Rs 400 crore in supplementary demands in December, the money was not being utilised, they alleged. Congress leader Vikhe Patil said that the minister had admitted delays in making funds available for providing nutritious food. "Government has funds for Mumbai-Nagpur knowledge corridor and Metro projects. But it has no money for nutritious food to the needy. The priority of this government is eradication of malnutrition and still money is not being provided. What is the need for supplementary demands for this purpose when eradication of malnutrition should be part of regular budgetary allocation?" the Congress leader said. There was no co-ordination among ministers over the important issue of eradication of malnutrition, and the BJP-led government was not serious on the issue, he said, leading a walk-out by opposition members.